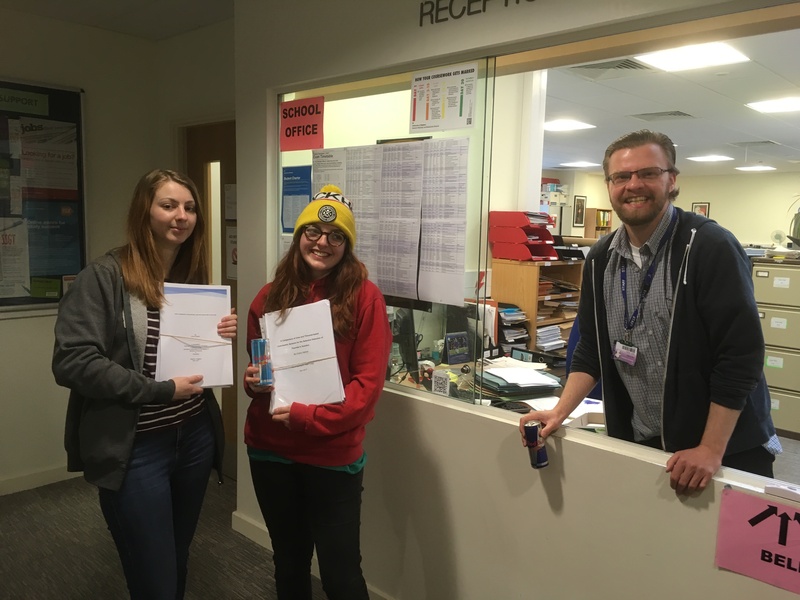 This morning our final year BSc and third year MChem students are submitting their research project dissertations. 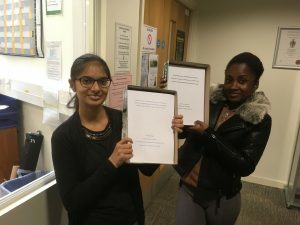 They have been working hard in the lab all year doing some fantastic innovative and challenging research. The final challenge is a defence of their work by oral viva voce exam, but we’ll give them a couple of weeks break before that! In the meantime they will enjoy ChemSoc’s night out in celebration of submitting their work (and the second year’s analytical validation report) and continue to work hard on their other modules. The end is in sight now though, well done to all of you!